The vanilla shake is delicious! Smooth and creamy. I make it with almond milk, banana, and pb fit peanut butter powder. So yummy! It curbs my hunger for 3 hours. I highly recommend. I find the taste of these shakes very disappointing. They have an odd taste and a bad aftertaste. I will not purchase again. The shakes will keep you full for several hours and they all taste good, so far. I will say the chocolate based ones are slightly better tasting (I've done chocolate, dark chocolate with super foods, and chocolate peanut butter) but vanilla is still very good!! I'd say it's a good gauge because I'm not really a vanilla person!! Lol!! I like the vanilla because you can fix it so many different ways. Vanilla - Great flavor alone or add frozen fruit! Love the vanilla! Used for 2 and half years. Pretty much every day of the week. Mix with fresh or frozen fruit for a delicious treat. If you freeze your fruit you dont have to use ice. Ice cream has always been a whole extra food group for me :) With my Vanilla idealshake mix, some fresh frozen fruit, chia seeds and unsweetened almond milk tossed all in a regular inexpensive blender.I get a healthy delicious breakfast and or lunch that seems more like a treat then something thats really good for me! Everyone I make them for really enjoys them. Even the dog waits for a creamy sample! New favorite ...toss in a cup of frozen mix of strawberries, blackberries, raspberries and blueberries. I make a double batch every morning. 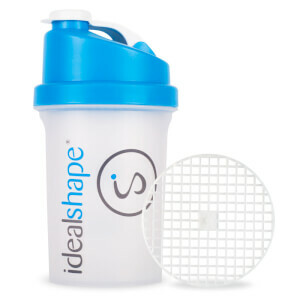 Put in thermal cups you're set for breakfast and lunch at home, office or on the go. Can put in freezer too. Enjoy!! 3/12/19 by Sixty and lovin it! 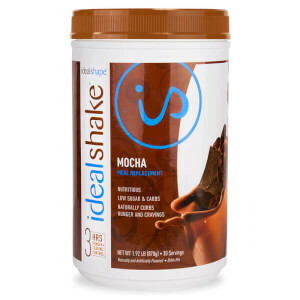 This is hands down my favorite vanilla flavored shake out there!! I like to sprinkle a pinch of cinnamon on top for a change up. Let me start off by saying that I'm not a protein shake person. I don't do protein shakes, I think they're usually pretty gross and I'm not interested. This shake was not like that. I first tried it in some no-sugar Greek yogurt. SO GOOD. No grittiness, no chalkiness, no gross texture. It's just creamy and sweet. I tried it made with milk--It's really really thick and super sweet--but not overly artifical. I tried it with more water than is recommended and was surprised to find it tasted like a base to a Dunkin Vanilla Coolata. It can be super sweet if you;re drinking it by itself, but the flavor is good and it's good to add things to. 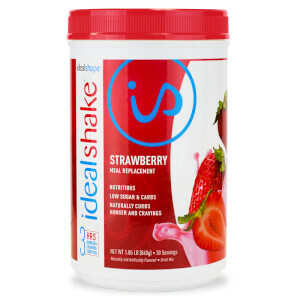 I mix it with yogurt and then put in some no-sugar-added strawberry preserves and it tastes like a strawberry milkshake. I like it a lot and would highly recommend it. Love the flavor and the versatility of adding different fruits and almond milk to create yummy thick shakes. I wasn't sure what to expect of this superfoods blend (as I hadn't tried any of the flavors) I was expecting a not-very-sweet possibly grassy drink with a Stevia aftertaste. 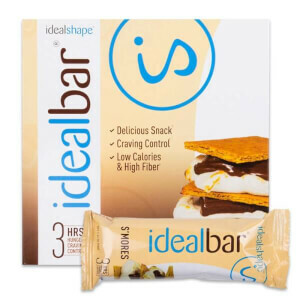 I will say the chocolate has a slight Stevia aftertaste when made with just water but this vanilla is absolutely delicious! Made mine with water and PB Fit and it was like drinking a peanut butter cookie! I'm surprised that I liked the vanilla so much more than the chocolate. No grassy flavor at all. I'm sold!